Whatever stage in life your cat is at, we have loads of tips to help keep them healthy and happy. Kittens can be quite a handful! 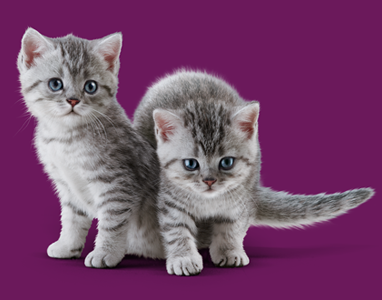 Our handy tips will guide you through your feline friend’s first year. Is your cat curled up on your lap? Or outside patrolling their territory and in search of fame and fortune? There comes a time in every cat’s life when they prefer a warm bed to outdoor adventures. Cats can’t resist our Whiskas® food! Each meal is carefully balanced to contain all of the nutrients, vitamins, and minerals your cat needs – and tastes great too. Ask a question, post a photo, or share your cat’s latest adventures with us and other feline fans.